The Berrics - TRAVELLING TEXT YOSELF With HUF D.B.C. 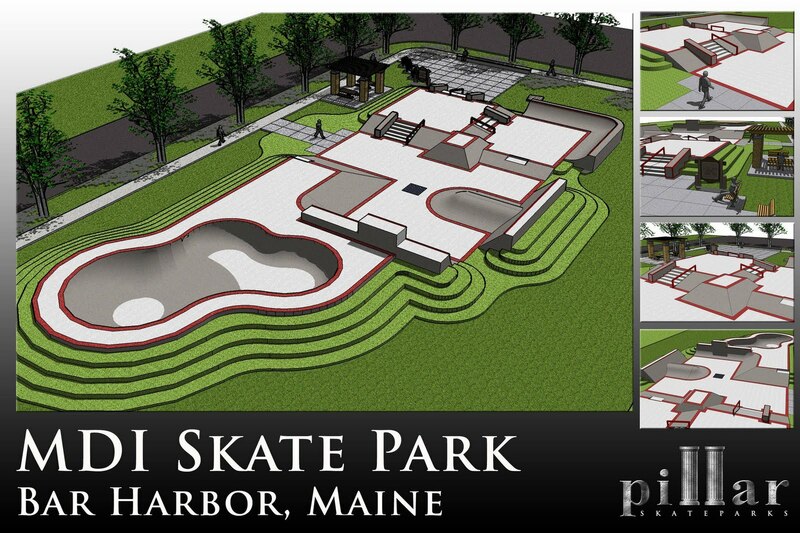 MDI Skatepark Association vs Town of Bar Harbor: we need stats on supervised/unsupervised parks in Maine. If anyone knows good resources on how many parks in Maine are free open and unsupervised, please post to our FB Page! Chris' last line is insane! 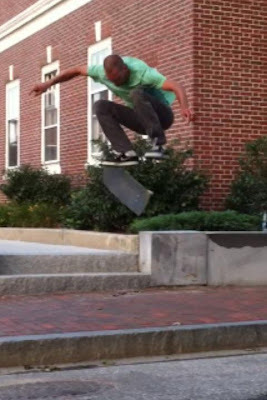 Forrest skating like a true Mainer smith grinding a truck in Portland, Me photo Mike G posted on the lowcard site! Acclimation II video premiere at Resession Skateshop in Portland, ME. My friend Kevin is finally getting his name out there in the industry and I couldn't be prouder of him. He was Slap's first one in a million contest winner and here's his first full part other than the section that he and Lee Berman had in Static 3. Congrts Kevin. 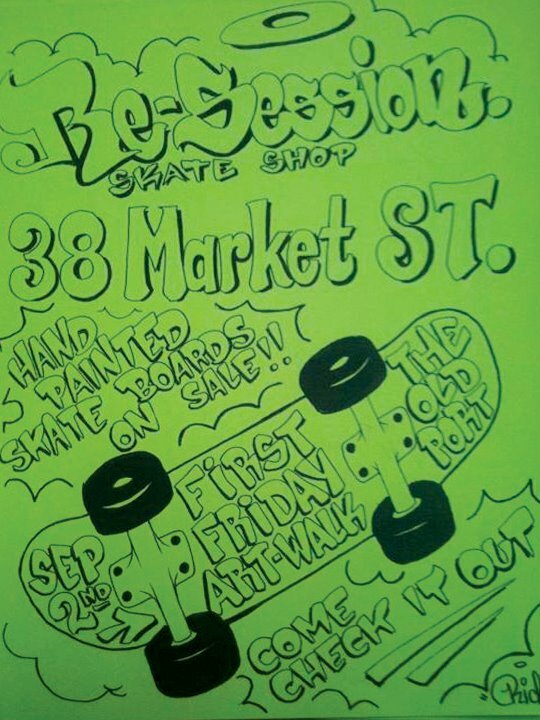 THEY GUYS FROM RE SESSION WILL BE STOPPING BY WITH SOME FREE SKATE DECKS / WHEELS / SHIRTS ETC... 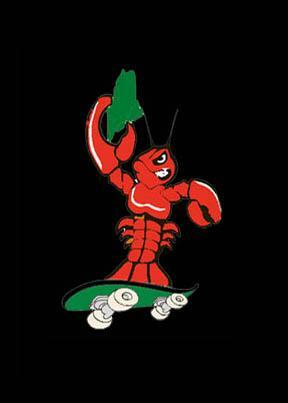 THIS CONTEST WILL BE IN A JAM FORMAT. U WONT KNOW WHO THE JUDGES ARE AND THERE ARE NO RULES. IT WILL GO FROM 1 TIL 4 OR SO. NO AGE LIMITS. 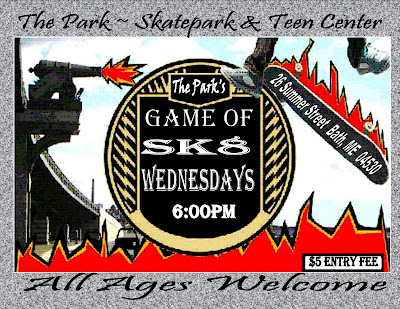 JUDGES WILL BE FOCUSING ON STYLE, BEST TRICK, OVERALL USE OF OBSTACLES. SEE YA THERE! 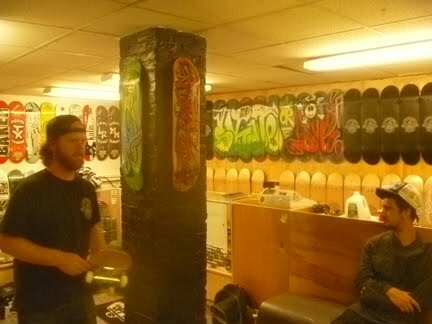 Here are some pics of Portland, Maine's newest skateshop. Located at 38 Market Street in the Old Port.I took this post of f of Mike G's blog Visualfind check it out its tightm yo Stop in and check it out. let me know if you'd like some and I'll make sure to get it to you. 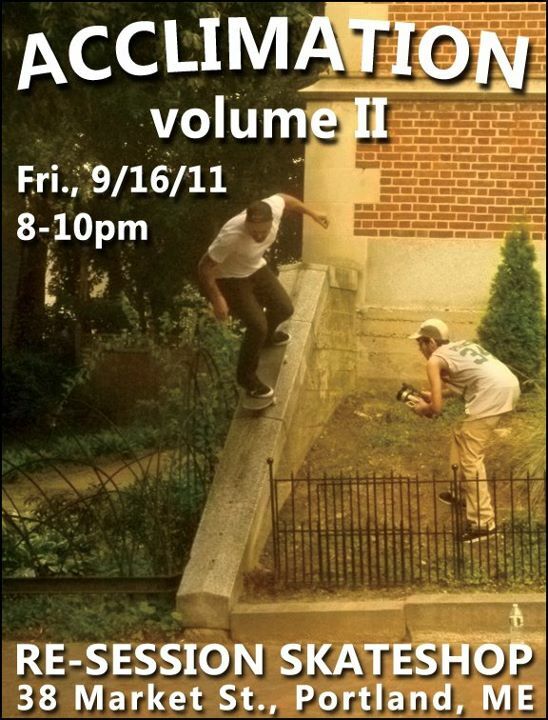 Acclimation video premier this Friday at Ressession Skate Shop! 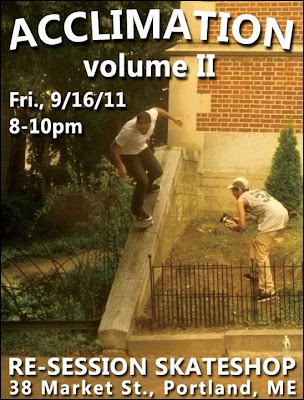 Bones Wheels is having a flow contest on the Thrasher site and Mass' Serge Murphy needs our help. 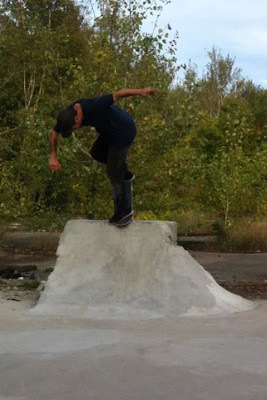 If you saw Thanks Camera 4 or Shape Deuce you know how much he rips. The winner goes by whoever has the most votes. So please support New England and vote for him to get a spot on the team! Jay Brown and some homies got the chance to skate around the Cumberland County Civic Center and here's a short clip of what went down. Civic Session from Jay Brown on Vimeo.